You're sitting at your favourite spot in your favourite pub in your old tweed jacket. Towser, the Landlord's Jack Russell, is asleep beneath the chair contentedly. His belly is filled with all the crisps you've been feeding him. You have a glass of whisky in your hand; and, as you swirl the liquid around its edges, the answers you had been seeking reveal themselves at the bottom of the glass. Tomorrow no longer seems as dark. You will always find the right answers at the bottom of a glass of whisky — given time. Note the tweed jacket in this scene. 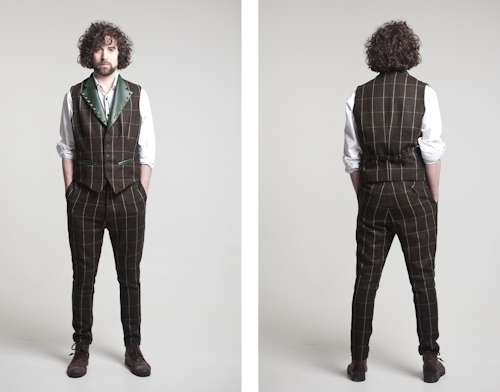 As champagne is made for sipping in pyjamas at breakfast time, tweed heightens the pleasure of sipping whisky. By all means match your food and drink, but do consider what you're wearing too. 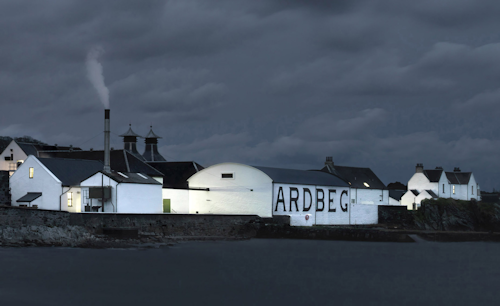 Our Scottish chums at Ardbeg, the Islay whisky distillers also think that tweed is the right match for whisky. 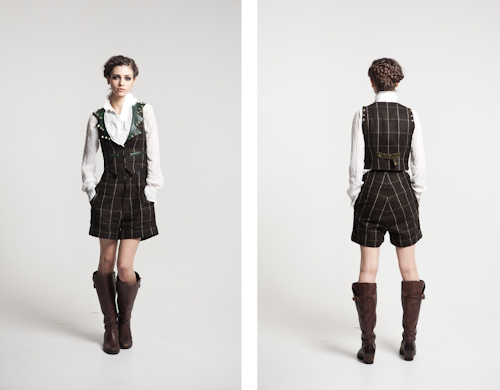 Designer Judy R. Clark — good friend of The Tweed Pig — has designed a collection of tweed clothing to be worn by Ardbeg employees and representatives worldwide. A uniform, if you will — but what a uniform! Imagine the staff in branded hoodies and baseball hats by contrast. It perfectly captures the place, the culture and the company; provenance is neatly conveyed. The clothes are made in the UK. Islay, known as the Queen of the Hebridean islands, possesses a rugged, peat-laden landscape from which Ardbeg derives its famous taste — renowned as the peatiest and smokiest of all the Islay malts, but with a sweetness described as the 'peaty paradox'. Next time you're in your local wearing a tweed jacket, try some Ardbeg. You'll find the two complement each other beautifully.